Karaoke night by itself is fun, but Glazart combines karaoke, Halloween, and clubbing in a special event to kick off your Halloweekend. The event starts at 11:30 PM and lasts until 6:00 AM on Saturday, so get ready for a long night of creepy fun. Tickets are €12, and the event takes place deep in the 19th arrondissement, leaving you with a feeling as if you've left Paris for the night. 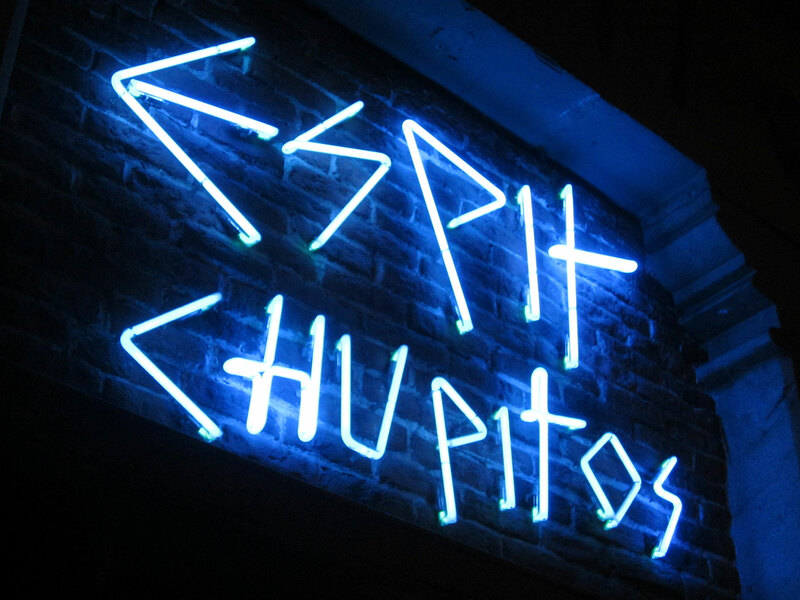 O'Chupitos is widely known as the best shot bar in Paris. Join them for the event "Halloween Night/ Version Avant Halloween" this Saturday, October 28. Halloween Night starts at 7:00 PM and early birds get a free shot when they show up! Entry is free, so you can spend money on some of the 500 shots they offer. Also on Saturday is "Project X Halloween," organized by California Avenue. If you want a real Halloween experience before Halloween, this event will give it to you. Entry is free, and a bottle is offered to anyone fully dressed in costume. Strobe lights, black lights, and Halloween decorations are guaranteed. Project X Halloween starts at 10:00 PM and lasts until 6:00 AM. For more info, consult the Facebook page here. Hide Pub Paris combines traditional Halloween activities with clubbing. The night features a scary movie, haunted house, and decorated two-story club/pub. Drinks are only €2, and bottles are €30. The event starts at 8:00 PM and is situated in the heart of Paris, close to the other Halloween events. More information here. For those who seek festivities minus the horror on Tuesday, go to Le Perchoir in the 11th arrondissement. This rooftop bar has a beautiful view of Paris and some of the best cocktails around. DJ Cosmo will be playing a set, so get ready to groove your night away. Entrance is free and drinks vary in price. The event, "Fuego de la Muerte," starts at 10:00 PM. More information can be found on the Facebook event. To those who want to get genuinely horrified this Halloween, Parc Asterix's "Peur Sur le Parc" is for you. This creepy forest and the abandoned mansion is full of hauntings ready to spook your pants off. The different Halloween events occur starting October 14 and November 5, but for four days (October 28-31) the park opens at night, from 7:00 PM to 1:00 AM. Parc Asterix is in Plailly, France but is easily accessible by bus. The tickets are €39 and are on sale on their website here. For a traditional Haunted House, visit Le Manoir. Located in the 10th arrondissement, Le Manoir is widely regarded as one of the scariest places to go in Paris for Halloween. 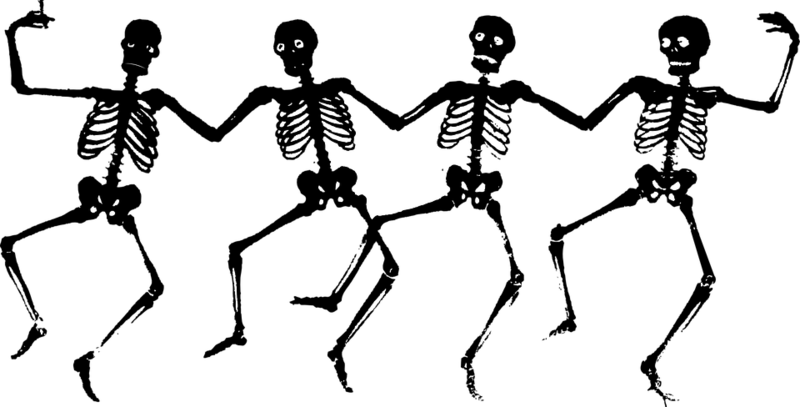 Each year a new theme comes out for the Halloween show. Due to the popularity, the lines are guaranteed to be hours long starting October 30 and escalating until November 1. Regular prices booked online are €27, and the ticket plus a Fastpass is €37. Buy tickets here, and view the opening times here. Want to mix history and present for a night of complete terror? Then check out the event "La Bête hante Grévin" at the Grévin Museum in the 9th arrondissement, October 25-31. Follow the storyline of the oldest myths and legends of the museum regarding "La Bête", and have the lines blur between fiction and reality. Entry is €22 online, and €26 at the door. For more information, click here. For further tips on getting into the Halloween spirit, see a previous article on hocus pocus.